Wanted Caroline Springs Cafes .. Wanted Melbourne City Cafes fo..
Caroline Springs Cafes for Sal.. Wanted Take Away Shops for Sal.. Wanted Stationary Shops for Sa.. Wanted Retail Shops for Sale.. Wanted Pizza Shops for Sale.. Wanted Night Clubs for Sale.. 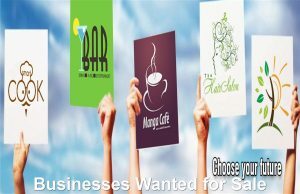 Wanted New Businesses for Sale.. Wanted Kebab Shops for Sale.. Wanted Beauty Salons for Sale.. Wanted Hair Salons for Sale.. Wanted Function Venues for Sal.. Wanted Fruit & Vegetable .. Wanted Florist Shops for Sale.. Wanted Convenience Stores for .. Wanted Catering Business for S..
Are you thinking about selling your business but don’t know where to start? The thought of selling your business is both stressful and time consuming. Not to mention trying and find a real buyer with the available funds to complete the purchase of your business. The team from Aussie Business Sales makes the process a breeze for you by guiding you through the selling process with extensive expertise in the business brokerage market. With a wealth of industry knowledge, Aussie Business Sales takes care of the stressful and tedious tasks required to sell a business and provides the clear communication required during the sale process between the buyer and seller of a business. Aussie Business Sales has a large database of qualified buyers looking to purchase a business from a broad range of industries making it easier for sellers to find a buyer for their business. At Aussie Business Sales we are continually updating our database with potential new buyers from all over Melbourne and Country Victoria. If you are looking to sell or buy a business for sale in Melbourne or Country Victoria please get in touch with our friendly team to discuss your situation and schedule a free consultation. Please contact us on mobile: 0418 515 434 or email: ian@aussiebusinesssales.com or send us a message through our enquiry form to receive a prompt reply.